What it is: A paraben-free eye shadow base that claims to prevent shadow creasing, intensify color and improve longevity of wear. Beauty bonus: This product does exactly what it claims to do. Beauty bummer: The initial texture of the cream on your eyelid feels a tad slimy -- but this quickly goes away as it's rubbed onto your lid. Overall: I have to admit, this is one of the first base primer for eye shadow that I've ever used. Don't get me wrong, I have long known the importance of using an eyeshadow base, but I was always of the school of thought that a creme shadow base would do the same thing. How wrong I was! 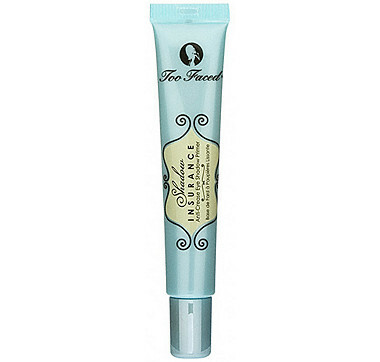 I applied this primer before my shadow in the morning and, by day's end, my makeup looked as fresh as when I first applied it. Throughout the day I felt my lids to see if the product was getting greasy (it wasn't!) - and I was actually quite amazed at the effectiveness.